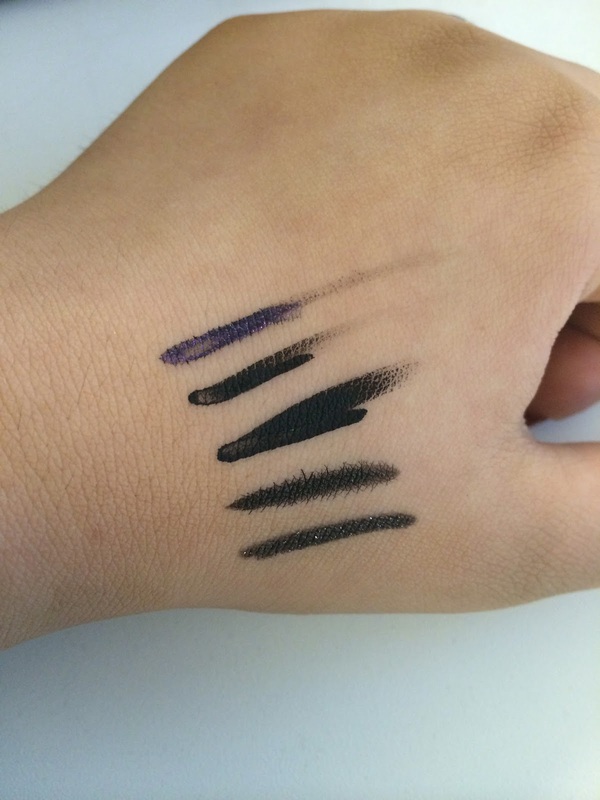 Opinionated Girl : All about liners! A post inspired by The Beauty Residence! 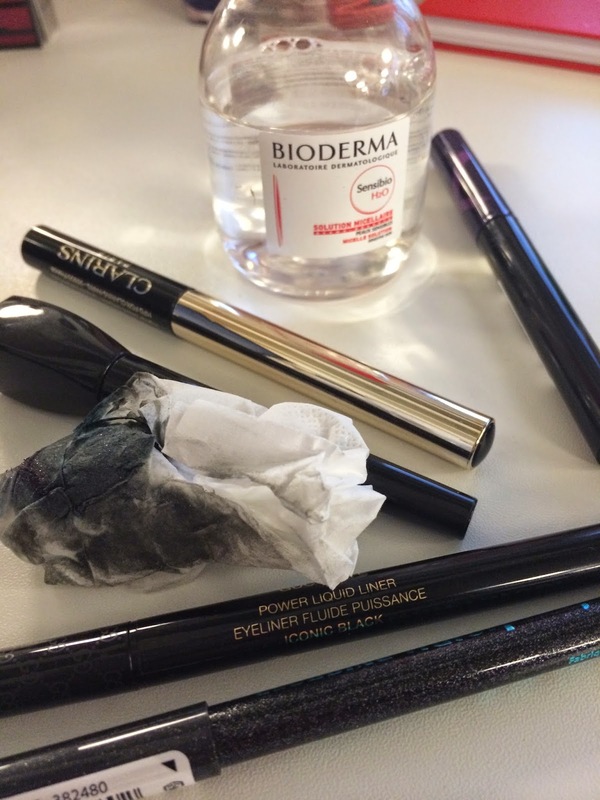 All about liners! A post inspired by The Beauty Residence! So let’s start from top to bottom! These babies are somewhat pigmented (maybe it’s not very pigmented because of the glitters) but they do give a gorgeous color and totally glams up your eyes! After 30 seconds of wait time, I ran my fingers across the swatch and it smudged (that’s not a good thing right?) but maybe that’s because it’s a liquid liner? I sure hope so because the color is soooo pretty! Cleaning it is fairly easy, needed a good rubbing to remove it but still left a discolored trace on my hand! MUFE recently released a bunch of eyeliners that are just incredible (read more about them here) and I picked my favorite one! This beautiful baby is very easy to apply as the tip is a bit thick and rigid (so it doesn’t sway left and right and you end up looking like a cute panda) It also has an amazing matte finish and dries somewhat quickly (still smudged after 30 secs but on a lighter scale than MF’s liner) and while cleaning, it was removed almost instantly! This eyeliner is a classic from Clarins with the elegant black and golden packaging, the black finish is also matte and the tip gives so much color making it perfect for creating an intense look. However, it still smudged after 30 secs of waiting time (then again, I’m sure it’s because it’s more of a liquid liner?). And cleaning it was super easy, for with a swipe or two, it was all gone! This baby reminded me a lot of Marc Jacob’s eyeliner, as the formula was very similar and the pen tip packaging too! 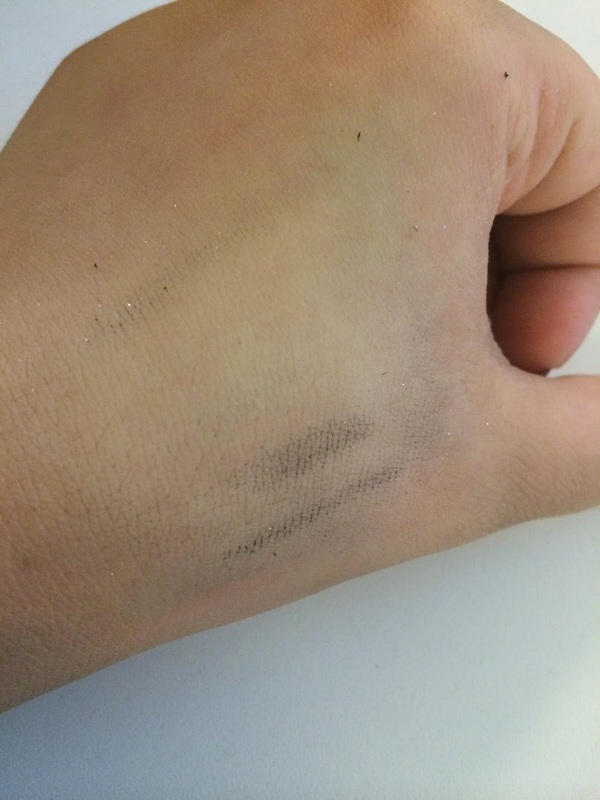 However, given my experience with eyeliners, I felt that this had the capability of being all over the place because it’s “too liquid-y” and it’s very hard to clean, BUT it doesn’t smudge (brownie points right there!). Gucci is the one of the newest beauty lines to be released in this region, so I am not giving up on it just yet! I shall give this product another try soon and update you if anything changes! I am in LOVE with how pigmented and easy to apply they are! 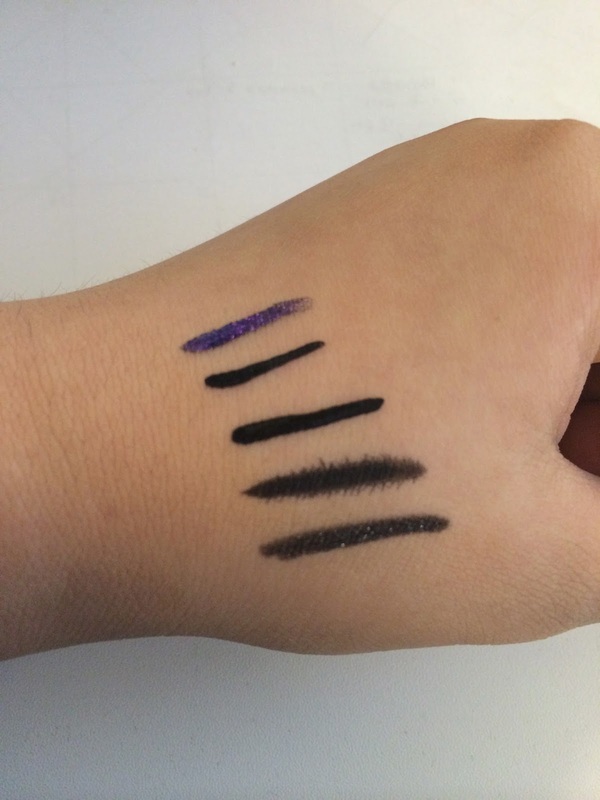 Maybe because it’s similar to a Kohl format rather than an eyeliner one, making it easier to avoid mistakes. These babies come in a variety of colors, ladies I am talking pink, green/blue, brown, bronze, navy blue and the one swatched here, glittery black! 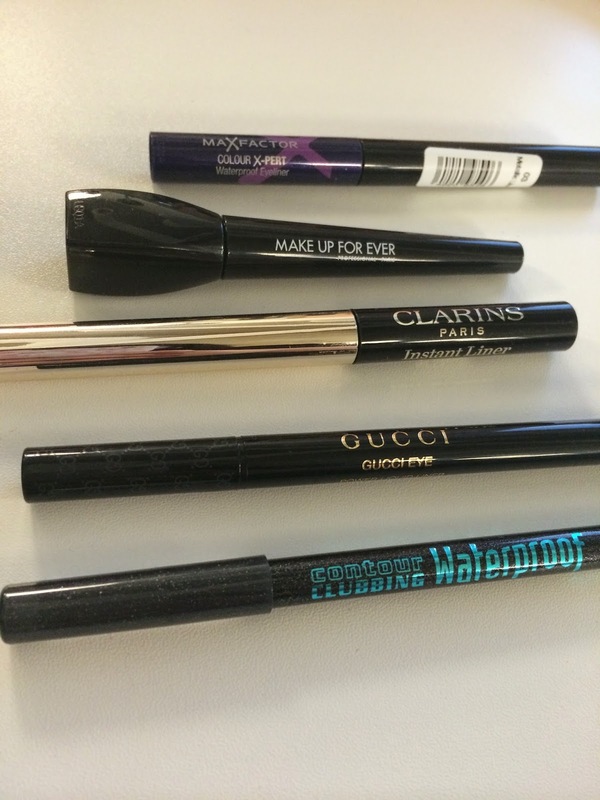 This particular products doesn’t smudge HOWEVER, it is the hardest to remove out of all the eyeliners listed here! Nevertheless, they are perfect for when you are in a hurry and don’t have the time to “draw” your eyes (sounds so weird) plus they come with funky colors!